Jordan and Matt have a dream. They dream of making mad profit and high thrills, so that’s why they’re building a theme park. Not in real-life, of course; they’re playing Planet Coaster, Frontier’s roller coaster-focused tycoon game. Just click the play button above to see their empire unfold. Related: the best sandbox games on PC. 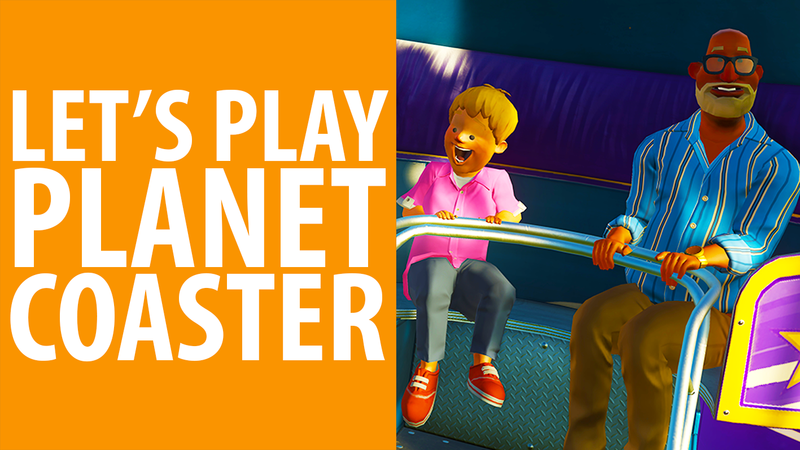 Planet Coaster offers up three main modes, and it’s the do-what-you-want sandbox mode that calls out to Jordan. With unlimited cash there’s no limits to what can be built, which is why the PCGamesN-themed park is filled with excessively winding paths and a roller coaster constructed from roughly a third of the planet’s timber supplies. We’re so sorry, Rainforest Alliance. The duo also get to grips with the intricacies of acceleration, drive chains, and real-time fear statistics. Don’t let anyone tell you there’s not a science to crafting the perfect white-knuckle experience. It’s all in the helix twists, we can assure you. For more disaster filled escapades and journeys into mystery, why not subscribe to the PCGamesN YouTube channel?